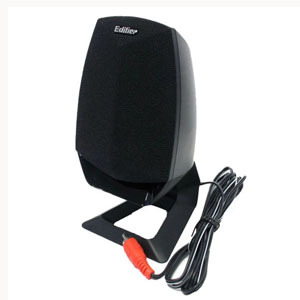 Edifier M1335 2.1 is 2.1 multimedia and gaming audio dynamic and aggressive solutions. It has load of wood subwoofer with 5 inch Speaker pegendali for detailed and precise bass response.This 2.1 Multimedia Speaker has 2 full-range satellite tuned. 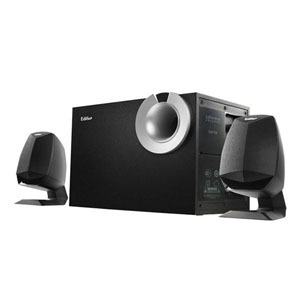 It is calibrated and matched with the subwoofer combine to form and audio balance of clarity. 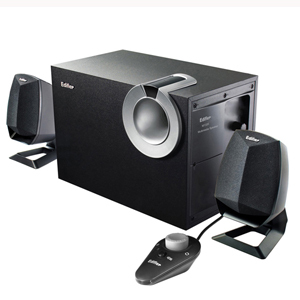 It features a multi-function wired controller with master volume control, off and standby function also headphone output, Subwoofer side-mounted rotary bass control and 3.5mm audio connector.